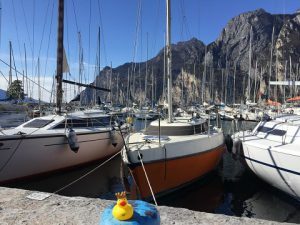 The Lago Di Garda (German: “Gardasee” fits in many of the swarms categories and is a very popular tourist site, all year round. 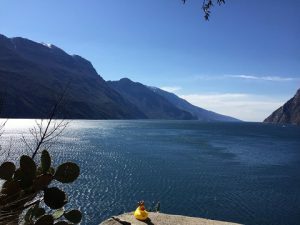 Spectacular high mountains, the blue lake, the nice old towns at its banks, the fruits, the wine, the Limoncello liqueur, the beaches, the ice cream parlors, the coffee shops, the gondola cableways …., the culture, the history, all that makes it a top tourist destination and it is not far away from Munich, Italy’s northernmost town. 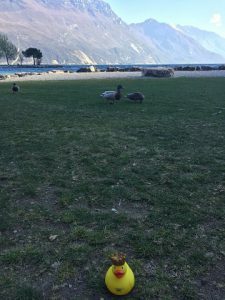 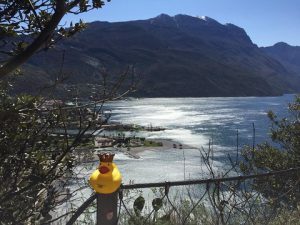 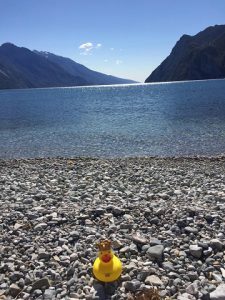 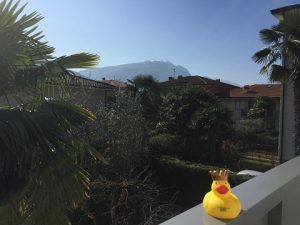 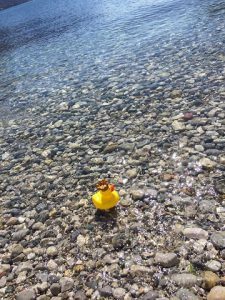 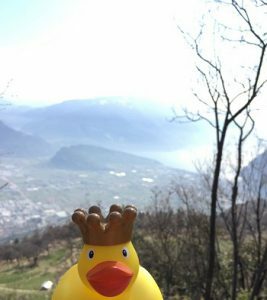 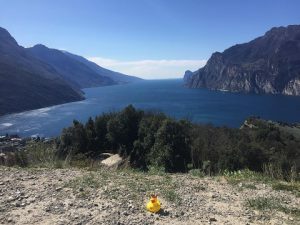 And the flock always like to take Pictures of real life ducks too, here with an Island in the Lago di Garda in the Background. 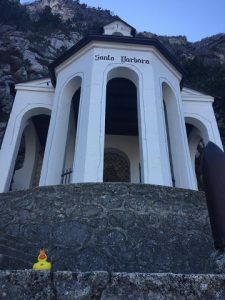 She also walked up the long and exhausting way to Santa Barbara Chapel above Riva Del Garda.